The AXIS Camera Station S10 Recorder Series are a range of reliable network video recorder for high-resolution video monitoring. AXIS S10 recorders are already equipped with all necessary software and associated licenses. They are pre-configured to reduce the installation time to a minimum. 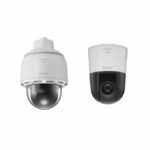 In combination with the cameras and monitors from the extensive Axis product portfolio they are advantageous everywhere as a plug and play solution for medium surveillance systems with up to 64 channels. The included hardware components are optimally designed for reliable high-resolution monitoring. Availability is also backed by the RAID storage and redundant power supply to the server as well as a three-year support for hardware and software. With the installed AXIS Camera Station effective monitoring is a child’s play: Flexible live view, location maps and powerful event configuration, efficient alarm management, and responsive PTZ control. by admin	22. 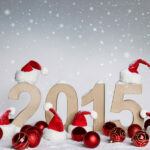 December 2014 0 Com.